Every Piece meets the highest grading standards for strength and appearance. Eastern White Pine Standard Rough Dry boards are most commonly used for their rustic, natural characteristics for accent walls. They are aslso used for sheathing barns, sheds etc. 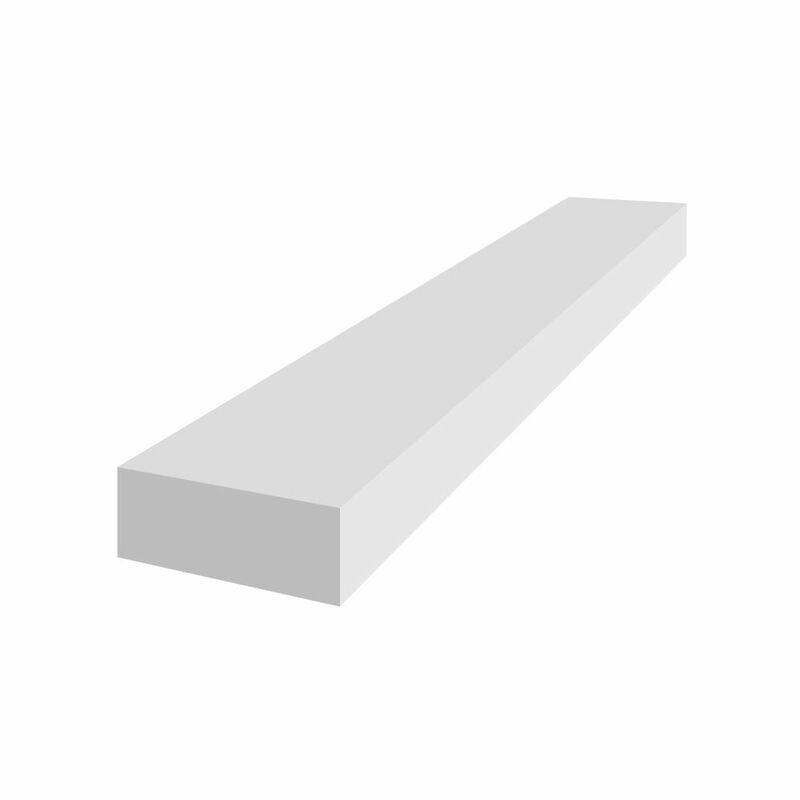 1 Inch x 2 Inch x 12 Feet Veranda PVC Trim Board White A lasting solution for windows, doors and trim. Royal Mouldings Exterior products are low maintenance and provide a beautiful, durable option to wood. Made of 100%Cellular PVC with a solid outer skin and a strong durable core. Royal exterior mouldings come with a factory applied Readi Finish. One of the strongest features of Cellular PVC is energy efficiency. The material insulates 70% better than wood and 1600% better than aluminum.